1. Peel and ‘eye’ the potatoes. 2. Cut the potatoes into strips ¾ inch square and about 3 inches long. The potatoes can be cut by hand or on a Mandolin (pictured below). Hold the cut potatoes in cold water until needed, to prevent discoloration. 3. Line a flat sheet pan with paper towels and have them ready by the deep fryer. 4. Drain and dry the potatoes well. Deep-fry in fat heated to 325°F until they are just beginning to turn pale golden color. At this point, they should be cooked through and soft. 5. Remove the potatoes from the fryer and turn them out onto the flat sheet plan in a single layer to drain. Refrigerate. All fried potatoes should be par-cooked and chilled before the final frying step. This is done to assure crispiness with less fat soak up. 6. At time of service, fry the potatoes in small quantities in fat heated to 350°-375°F until darker golden brown and crisp. 7. Drain well. Salt them lightly away from the fryer and serve immediately. 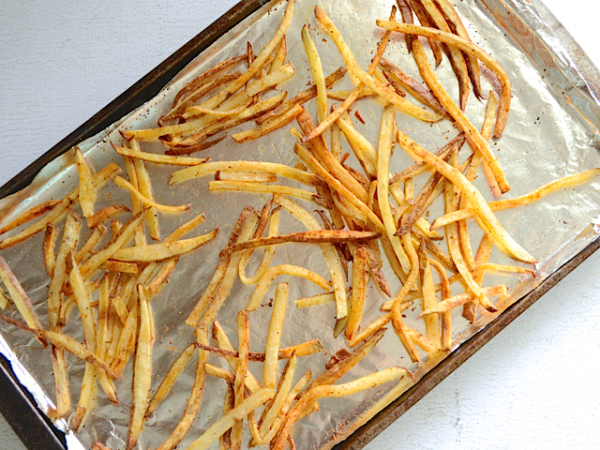 NOTE: French Fries can be baked in an oven. The procedure doesn’t change however. Instead of using a large quantity of fat, you will only need enough to brush lightly all the cut potatoes. Oven temperature can increase to “blanching” or par-cooking temperature of 375°F and a final bake temperature after the potatoes have been chilled of 425°-450°F. 1. In a small saucepan, bring the milk to a boil. 2. Remove from the heat, add the cheese, and stir. 3. Let stand for 30 minutes at room temperature. 4. Strain through a fine meshed strainer (chinois). Press on the solids to extract all the liquids, but DO NOT force the solids through strainer. 5. Mix in cream. Add salt, if needed, and refrigerate. 6. 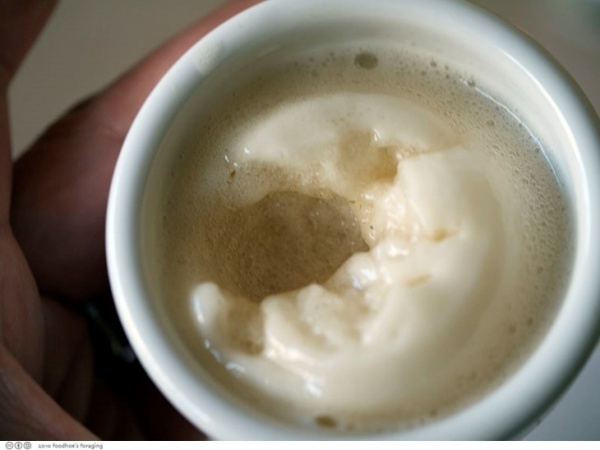 Pour the cream mixture into a foaming canister. Close the canister and charge with a nitrous oxide (N2O) cartridge. Make foam by inverting the canister and pulling on the lever.